If you are missing teeth or need an extraction it can be an emotional and stressful experience trying to figure out your options for tooth replacement. Advancements in dentistry now give you multiple options when it comes to resolving tooth loss, but which is really the best option? 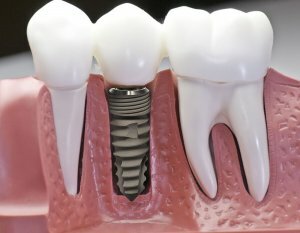 While dentures and bridges have held a common place in tooth replacement for many years, they simply can not compete with the benefits of dental implants. Although these options fill the space of missing teeth to improve oral function, only dental implants can offer a permanent solution that improves oral health and stops additional damage. Teeth that are close or anywhere near these teeth gaps may have a tendency to shift into those empty spaces, and this can change the entire mouth structure. That is when most people realize that their mouth is not aligned in its correct positions anymore. The teeth in the opposite jaw either make a decision to grow upwards or downwards. The empty space of the lost tooth can begin to shrink because of not using the regular chewing motion in that area. It is very hard to regain the loss of gum and bone tissue once it has been deteriorated. A dental tooth implant is a tooth root that is artificial, and it is implanted into the person’s jawbone where the tooth or teeth are missing. With a 95-98 percent success and satisfaction rate, implants are proven to promote your oral function and health. The success and satisfaction of implants is based on a process called osseointegration. With the implant in place, you give your teeth and bones the support they need to stay healthy. Do not let missing teeth damage your oral health or smile. Contact Prestige Oral Surgery for a consultation at 732-297-7000.